Today we are going to focus on the first book in the compilation. McKinley Graham has escaped to her summer getaway to regain her perspective and her health. Zane Davidson has taken refuge in the lovely seaside community, welcoming the healing balm of the salty sea air and his childhood home to mend his wounds. They aren’t looking for love, but their attraction is too explosive to ignore. Against the backdrop of starry nights and sultry kisses, they come to realize that even love may not be enough to save them from the angry storm of his past that threatens to destroy their dreams! Now about the fabulous lady behind this book! A native of Washington D.C., Lisa Watson writes multicultural novels with engaging storylines, strong, fun characters with universal appeal. Lisa’s Match Broker series, introduced readers to Love Contract, and matchmaking guru, Norma Jean Anderson, aka The Love Broker. Book two in the series, Her Heart’s Desire, was a #1 on Amazon’s Bestseller list, and was listed as one of 2014’s Top 25 Books of the Summer, and Top 50 Best Reads. Book three, Love by Design was #2 on the Amazon Bestseller list. Her latest story is a Sweet Romance. A Summer of Stars, is one of the novellas in the Summer Hearts Compilation. 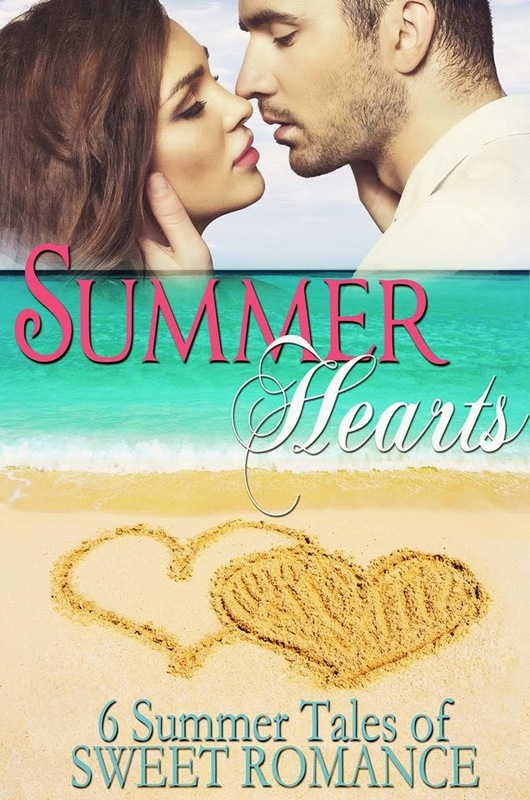 This exciting new collection featuring five additional authors, and their sweet, beach-themed romances, will be released May 2015. Lisa works at a technology consulting firm, is the co-publicist for RT BookReview Magazine’s annual RT Booklovers Conventions, and host for Reader’s Entertainment Radio show. Married for nineteen years, with two teenagers, and a Maltipoo, Brinkley, Lisa lives outside Raleigh, NC and is avidly working on a Sweet Romance, and her next series. To hear that she had six months to change her lifestyle or go on medication wasn’t the best news McKinley Graham could’ve received from her doctor’s appointment, but it was in no way the worst. Zane set McKinley on her feet and stood up. He placed his forehead to hers and closed his eyes. “We’d better stop, before I ignore the reason I came looking for you in the first place.” There was a jagged scar on his right cheek. Not that it mattered. As far as she was concerned, that little dink in his body amour was totally appealing. He was still spectacular. Pancakes are my all-time favorite. I’d eat pancakes over a Ribeye steak any day…and I LOVE Ribeye steaks! 2. What is your favorite past time, or hobby? My favorite pastime is now officially line dancing. Who knew I’d love it as much as I do!? 3. What is your favorite book? Pride and Prejudice by Jane Austen. I read it every year for my birthday. 4. Do prefer to plan things, or be spontaneous? Six months ago, I would’ve definitely said planning things…but since having to modify my lifestyle…well, let’s just say I’ve found a spontaneous streak I didn’t know I had. 5. Who is your hero/heroine? 6. What one thing do you wish you could tell your past self? Relax, Relate, Release! Worry less…be more. 7. Did you struggle to tell your author anything? Actually no, Lisa was pretty good about letting me have room to tell my own story. She did find it bizarre that Zane gave me his family crab sauce recipe and not her. He’s seriously got some explaining to do! 8. What is your favorite part of your story? My first kiss with Zane. That told me all I needed to know. It still gives me goosebumps. 9. What inspired the title of your story? My night time stroll with Zane on the beach. I’ve never seen so many stars. Being able to stop, and live in the moment…it was such a magical night, and I didn’t want it to end. Now that moment is immortalized forever. That’s pretty neat. 10. Do you think that there is a specific message to your story, that you’d like your readers to learn? Absolutely. It’s never too late to put your head up and live. To not let life pass you by because you think you’re too busy to enjoy it. Stop and appreciate all that life, people and love have to offer. 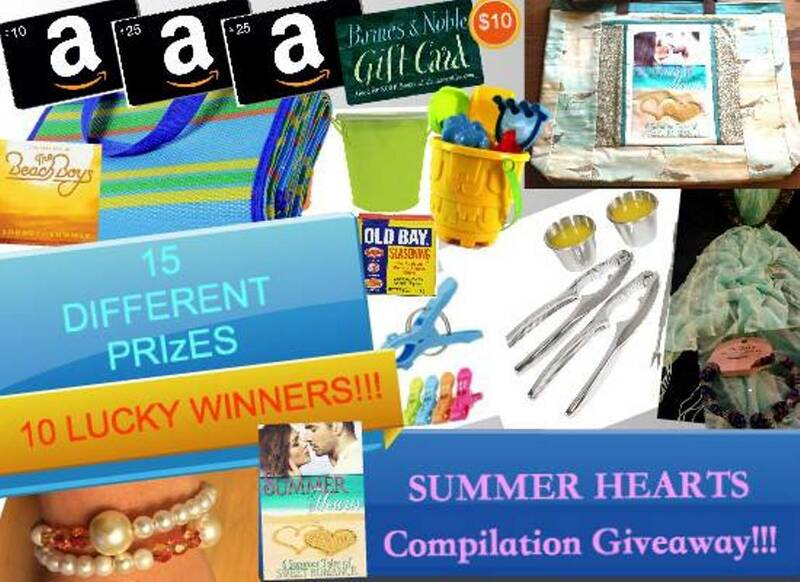 Visit each and every blog on our tour EVERY DAY and enter to win our fabulous beach-summer-themed prizes and Amazon gift cards! Enter your name into our GIVEAWAY!!! out about her and her book! Every Summer Has a Love Story! What an awesome interview Lisa, your book sounds interesting. Thank you Carol for hosting Lisa today. Hope you are all doing well. Thanks Debby for coming by and taking a look at today’s blog tour post. Did you see yours from yesterday? Debby, I saw your post. It was great!